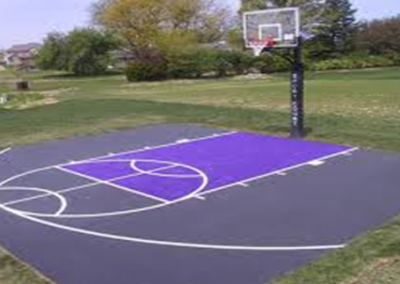 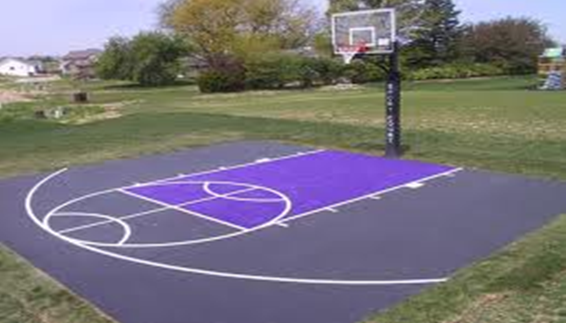 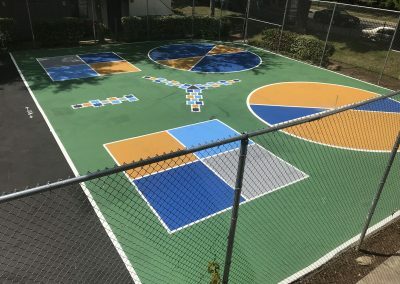 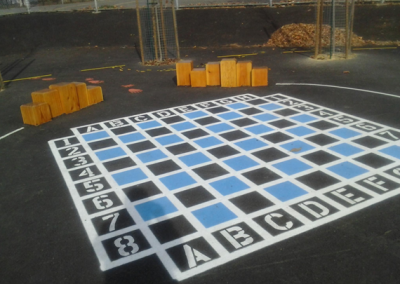 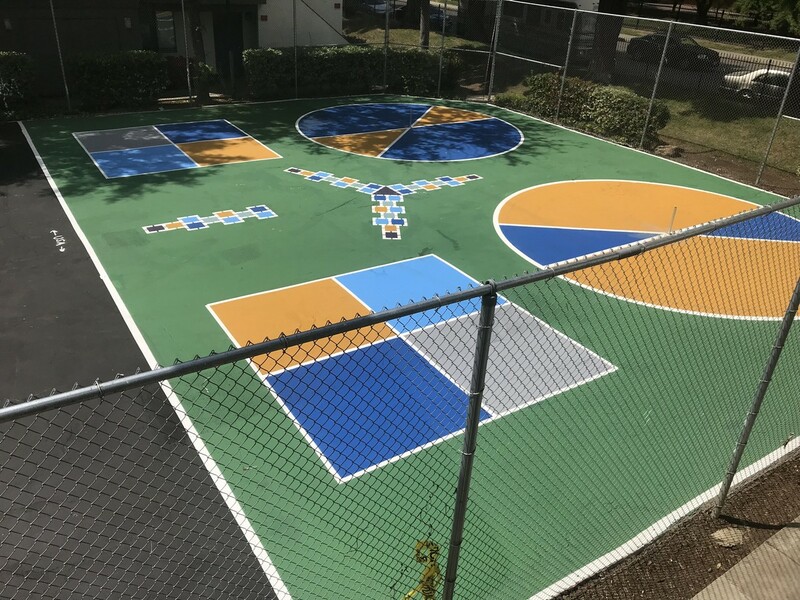 Whether it’s markings for foursquare, dodgeball, kickball, basketball, hopscotch, mazes, shoots & ladders, or even chess, we can help you make the most of the available space for blacktop games and sports. We are comfortable giving you design & layout ideas, or even remarking your previous playground layout, bringing new life to your playground. 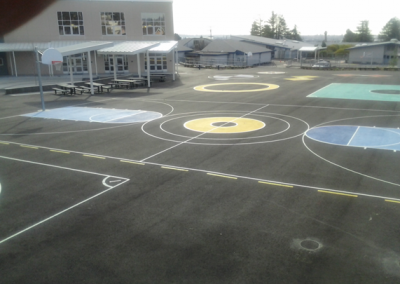 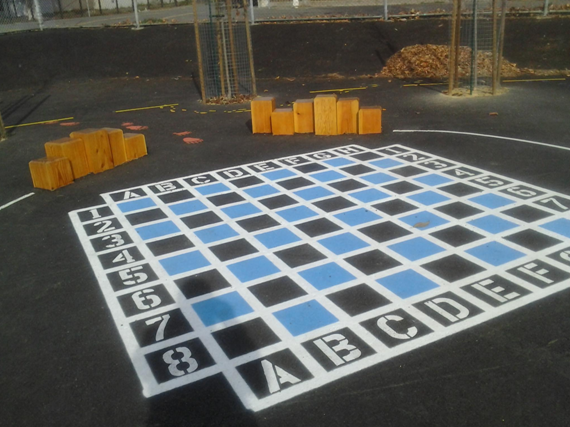 Interested in discussing your playground marking project? 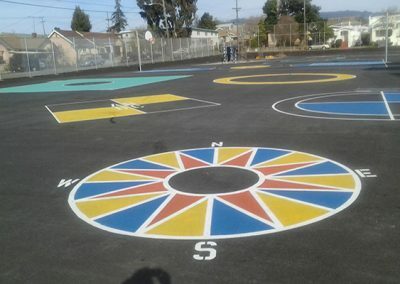 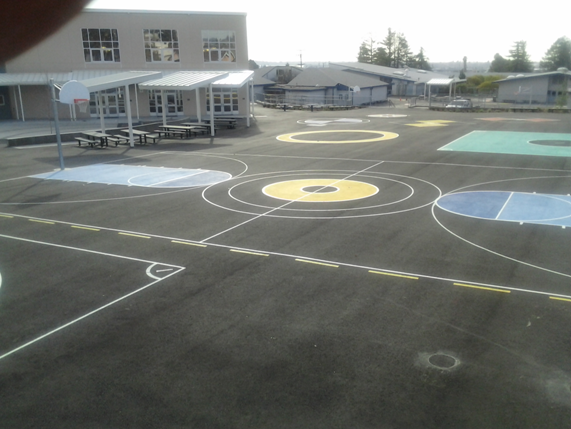 Please call 925.250.8920 or contact us today to learn more about playground markings for games, basketball, kickball and more.